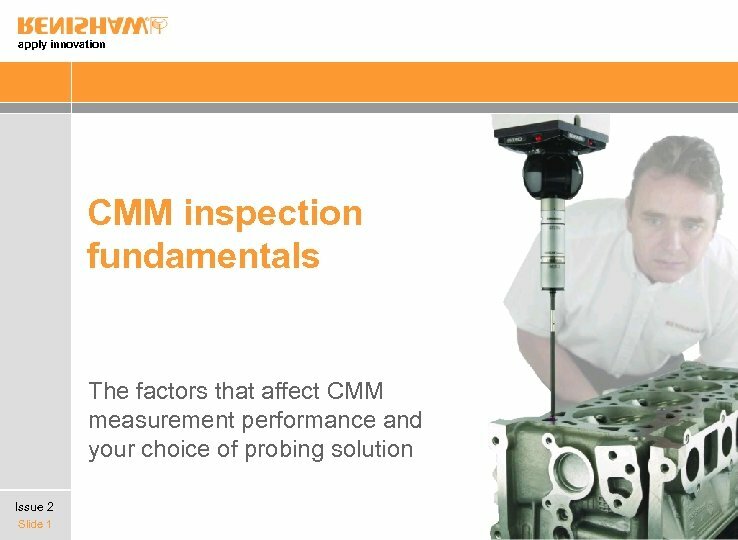 apply innovation Which inspection solution will suit your application? 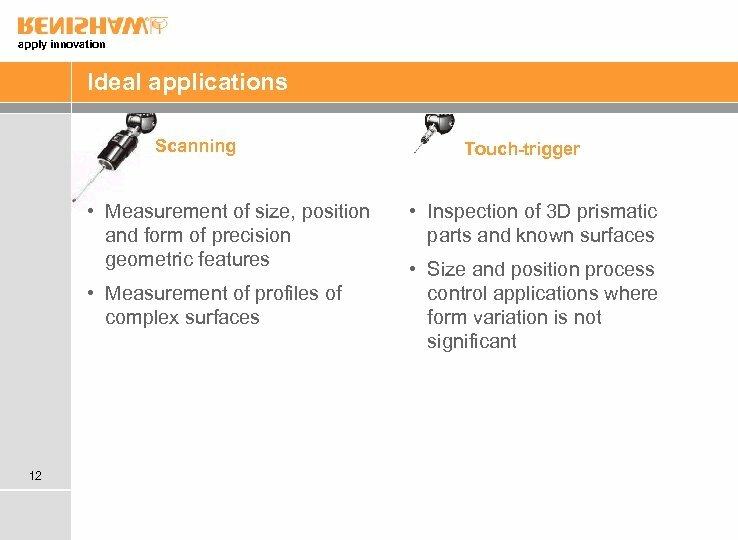 Probing applications Touch-trigger or scanning? 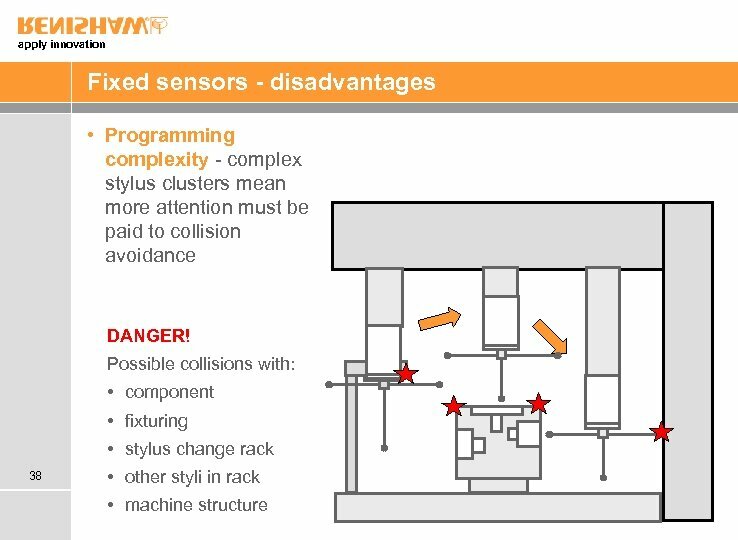 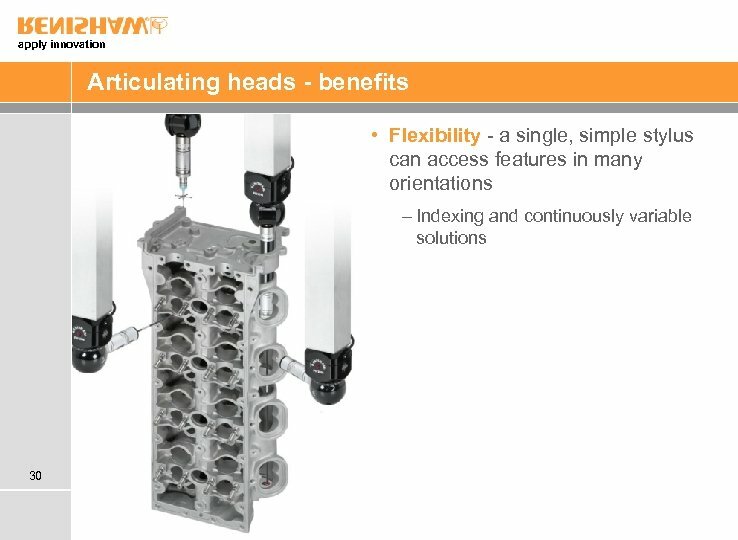 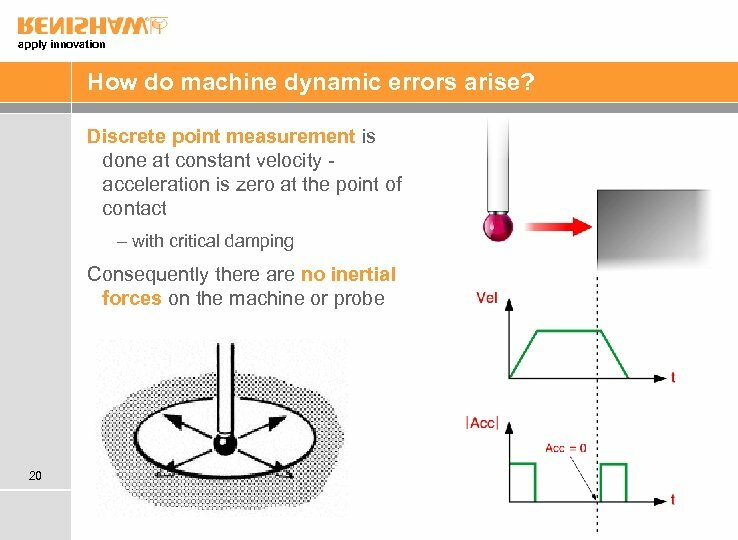 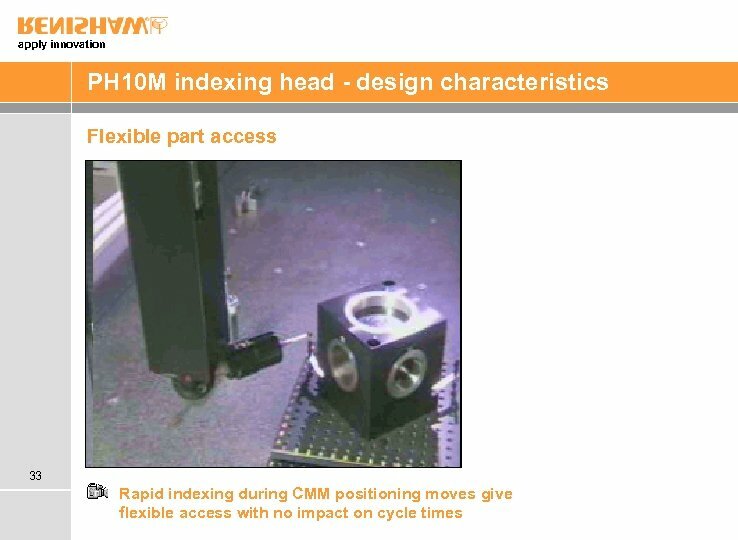 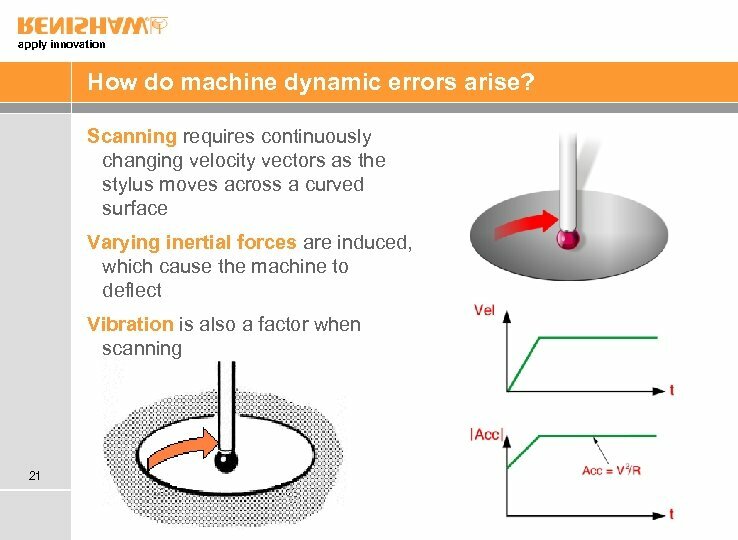 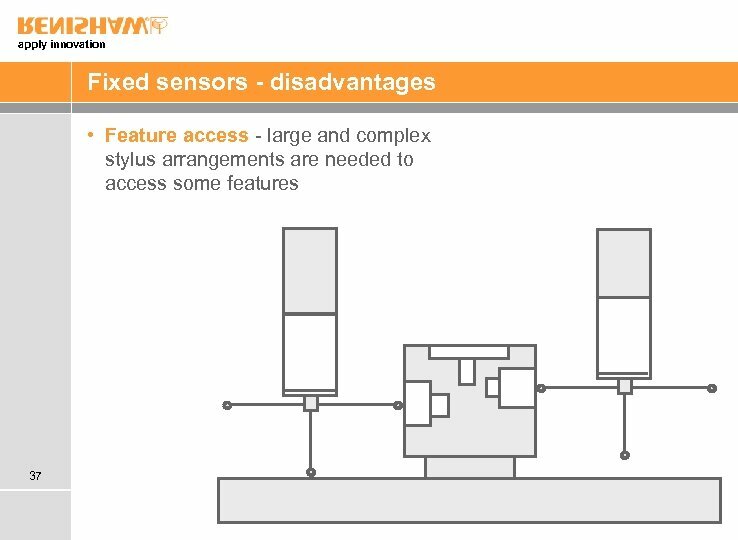 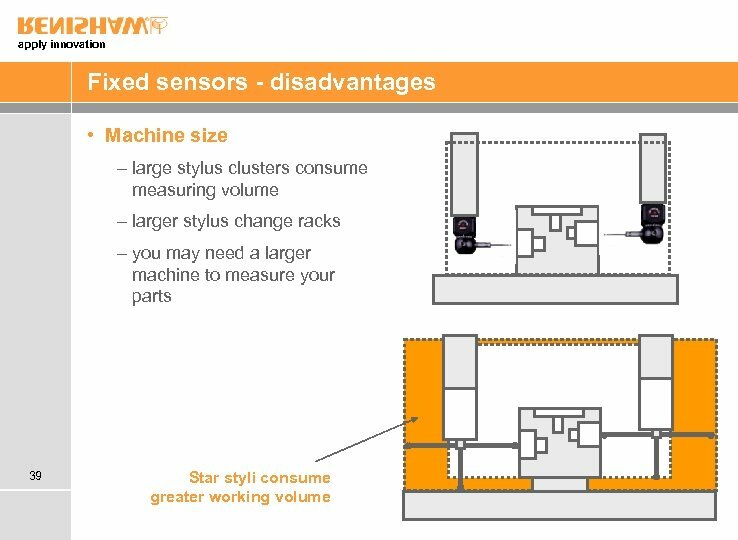 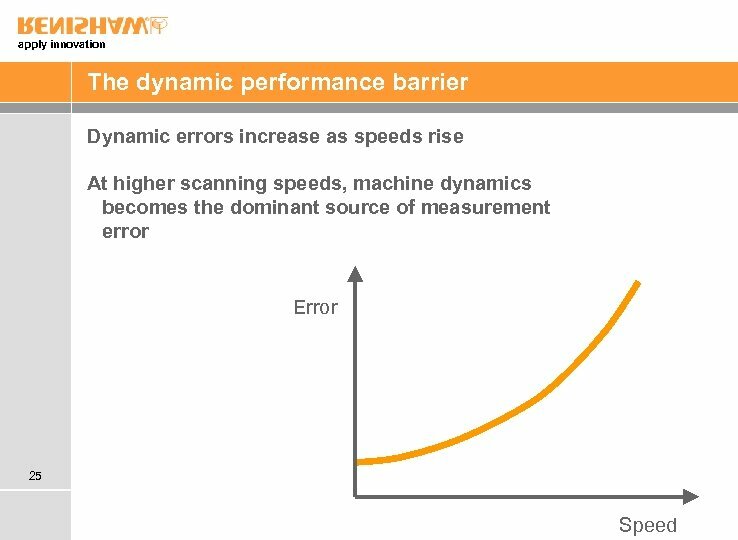 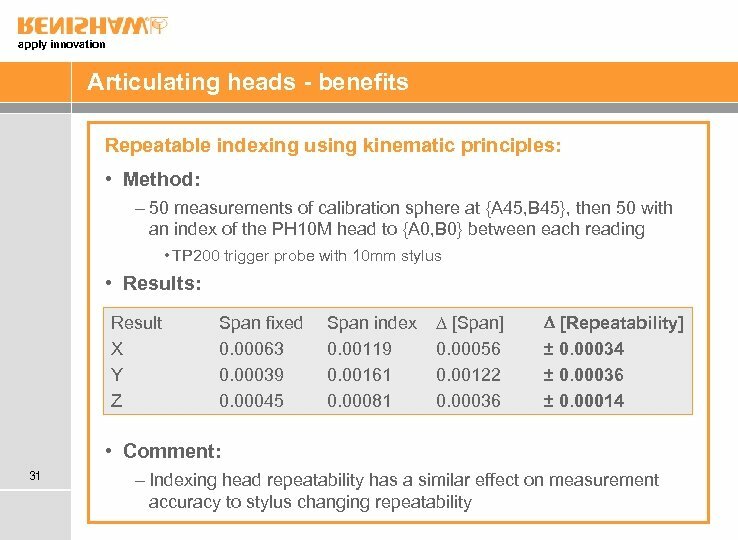 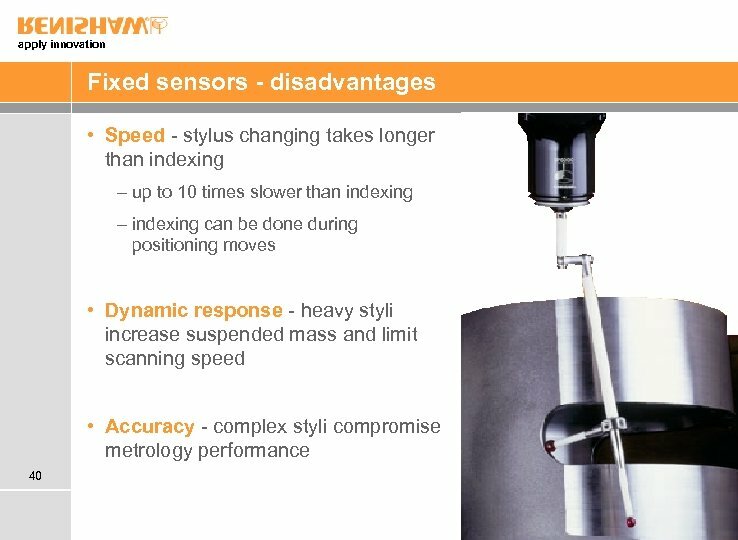 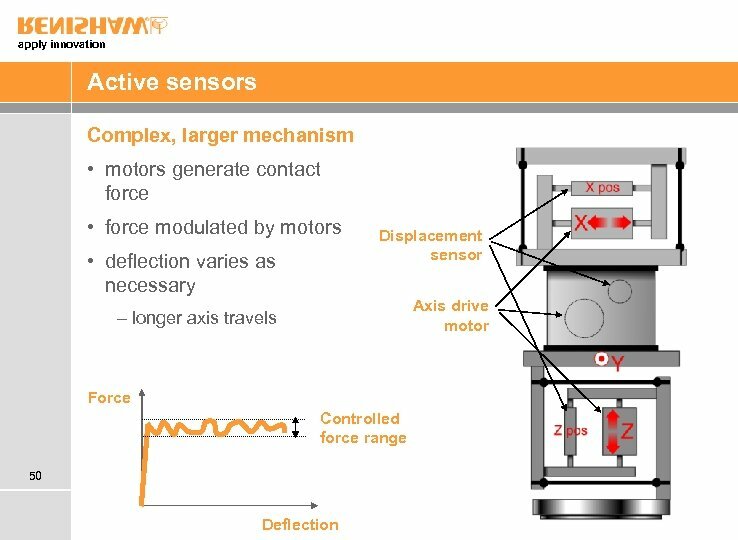 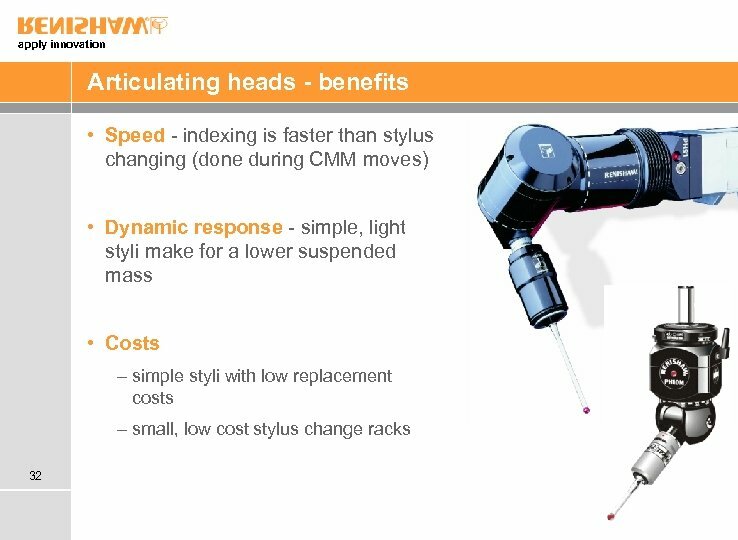 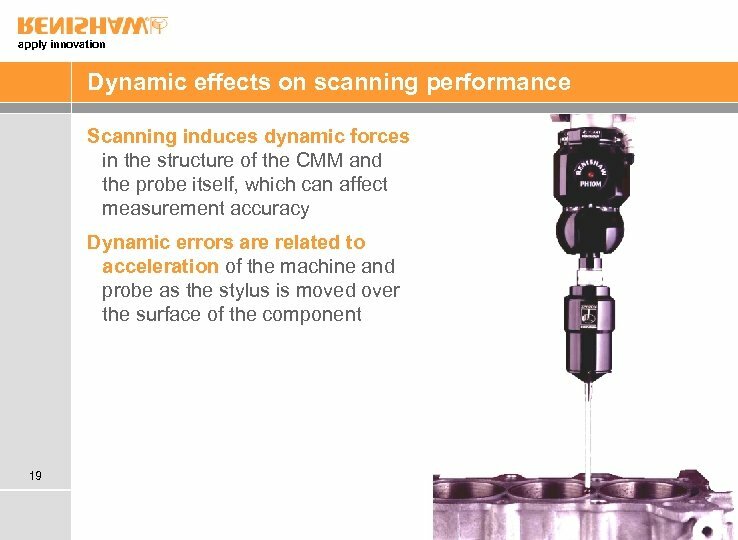 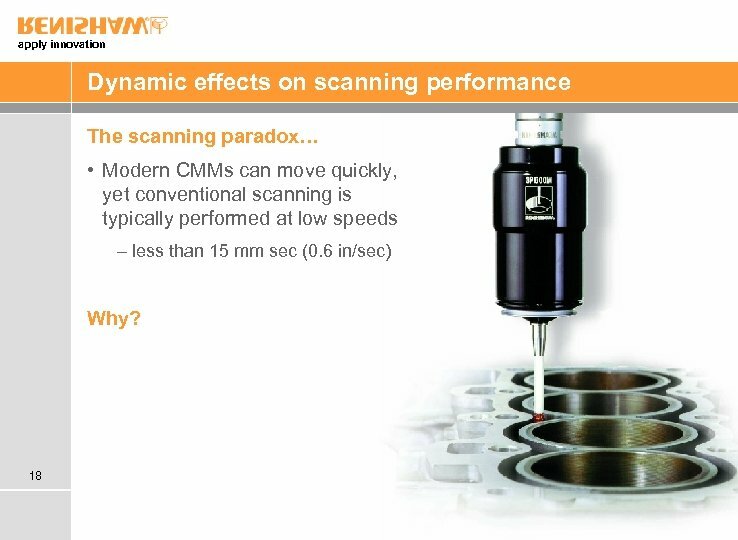 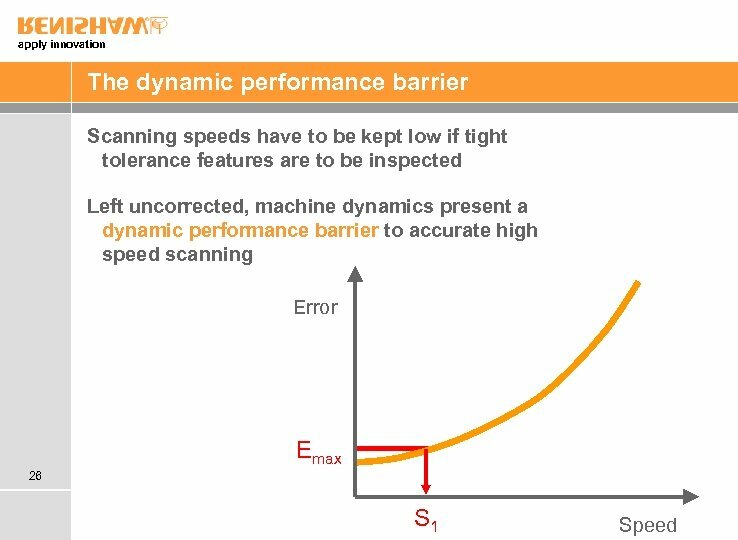 Dynamic effects on scanning performance Articulation or fixed sensors? 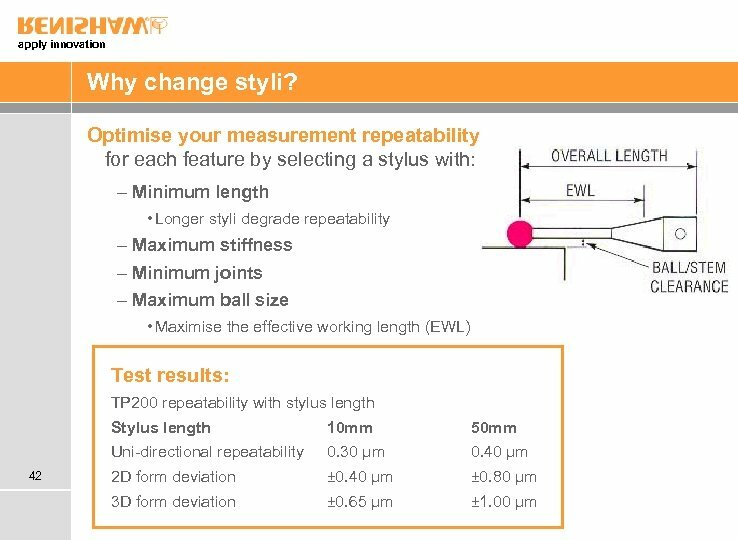 Stylus changing or sensor changing? 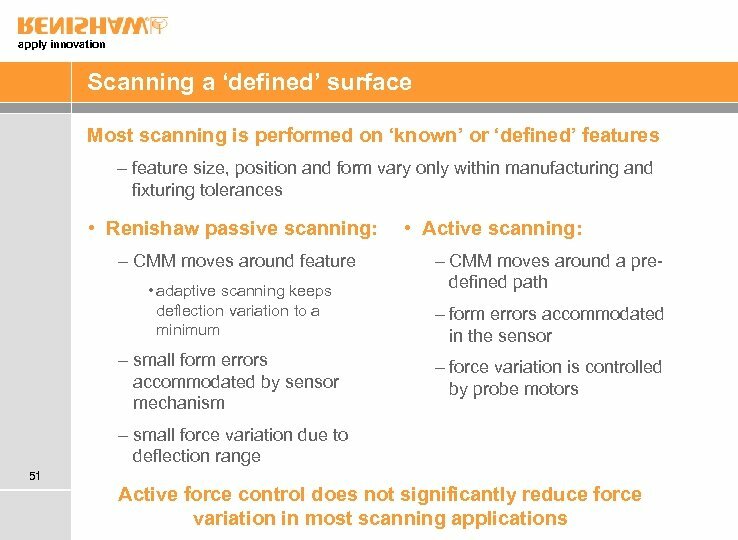 2 Active or passive scanning? apply innovation Which inspection solution will suit your application? 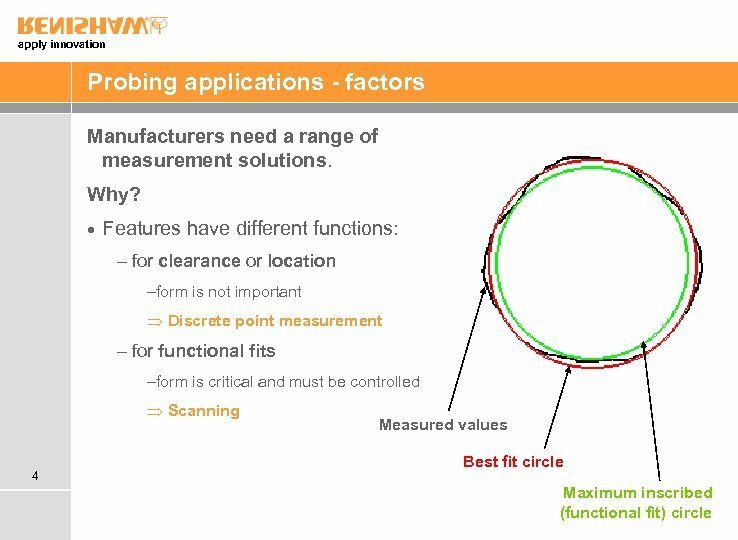 Probing applications Touch-trigger or scanning? 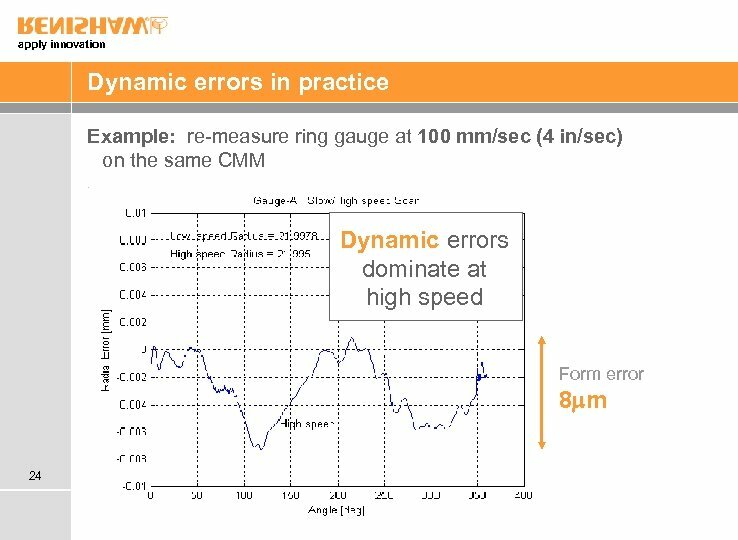 Dynamic effects on scanning performance Articulation or fixed sensors? 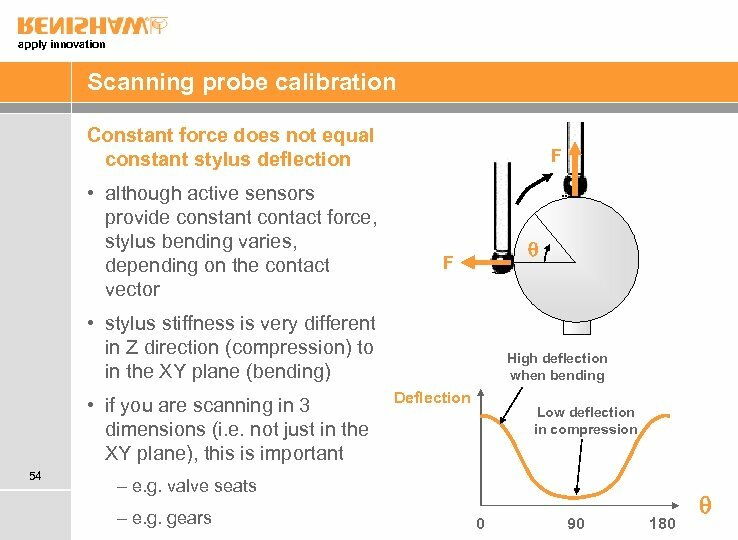 Stylus changing or sensor changing? 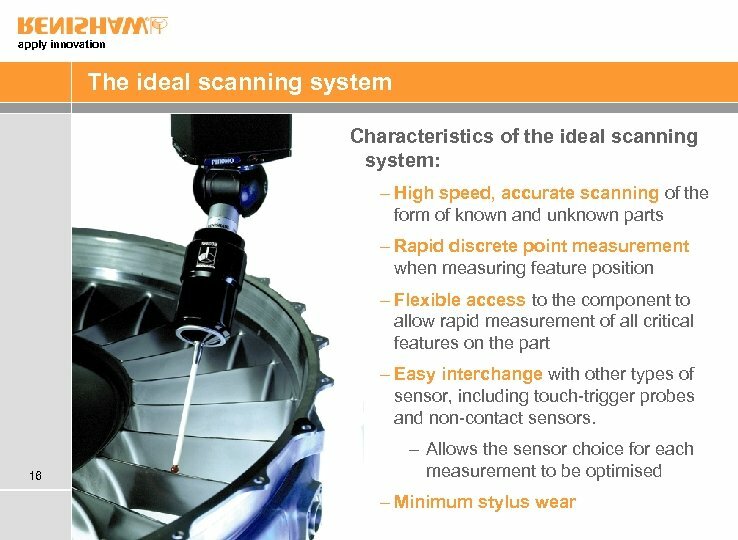 11 Active or passive scanning? apply innovation Which inspection solution will suit your application? 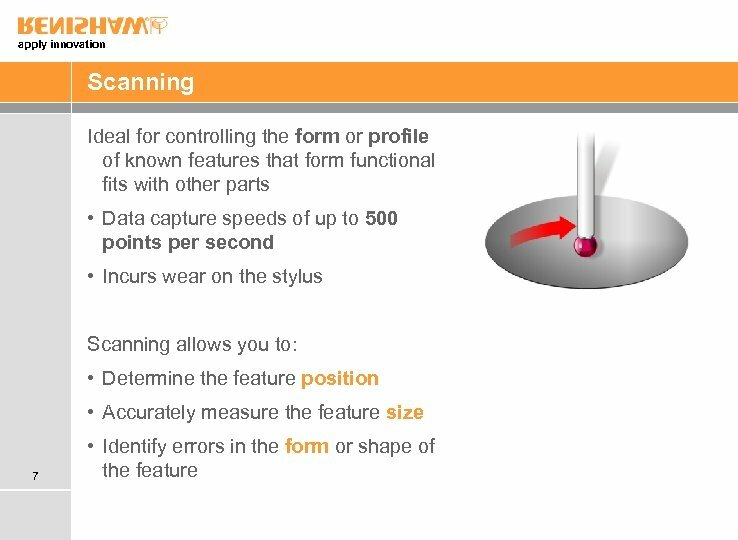 Probing applications Touch-trigger or scanning? 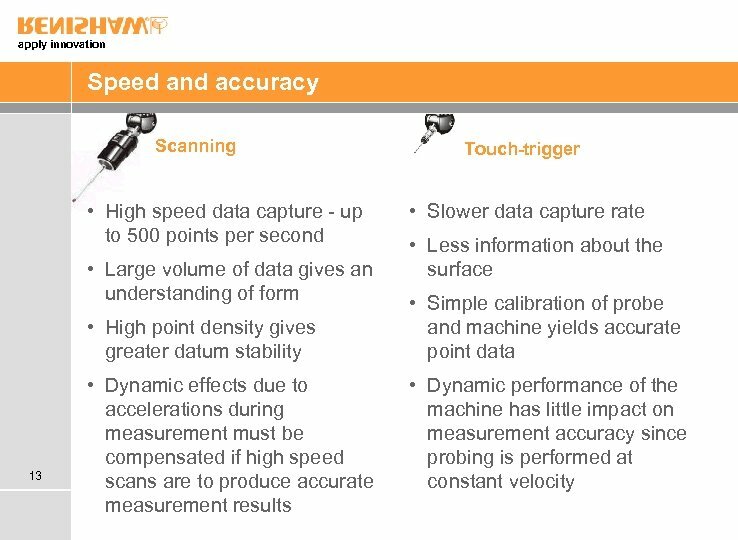 Dynamic effects on scanning performance Articulation or fixed sensors? 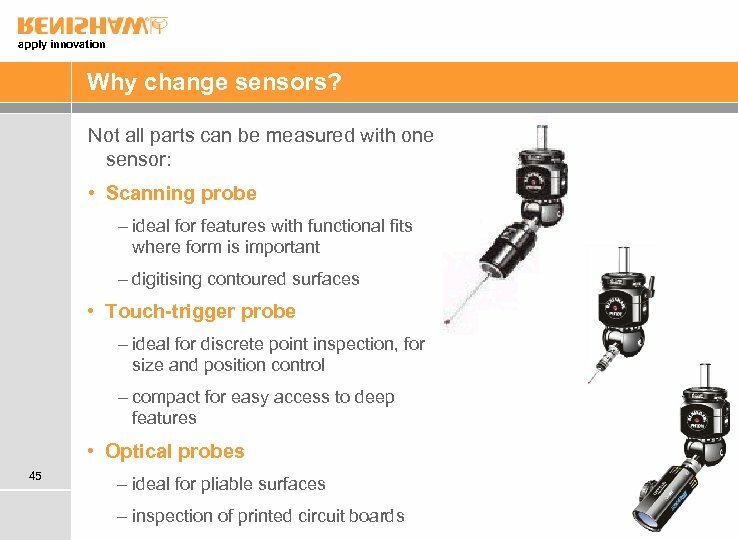 Stylus changing or sensor changing? 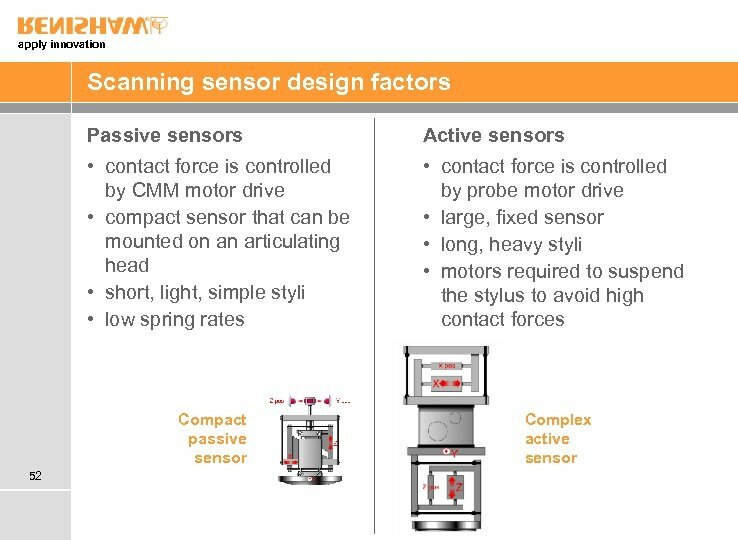 17 Active or passive scanning? apply innovation Which inspection solution will suit your application? 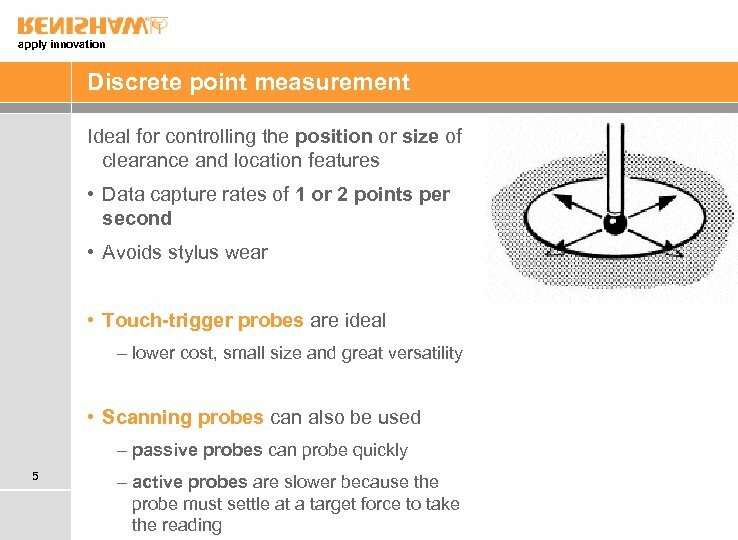 Probing applications Touch-trigger or scanning? 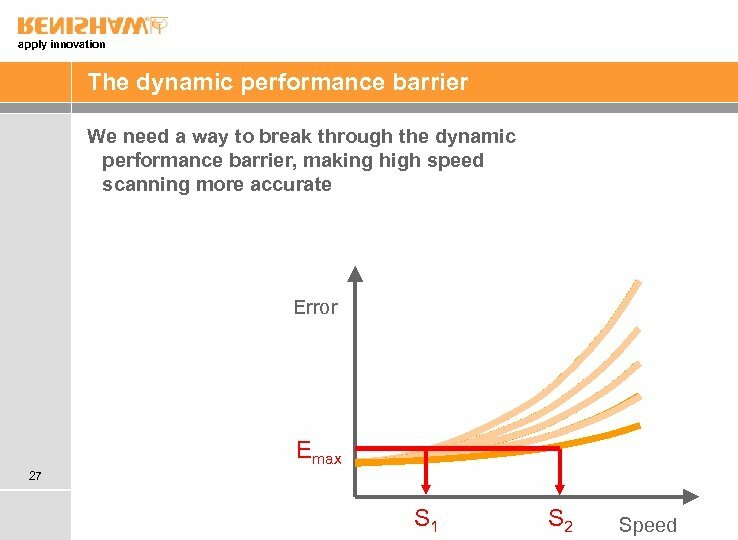 Dynamic effects on scanning performance Articulation or fixed sensors? 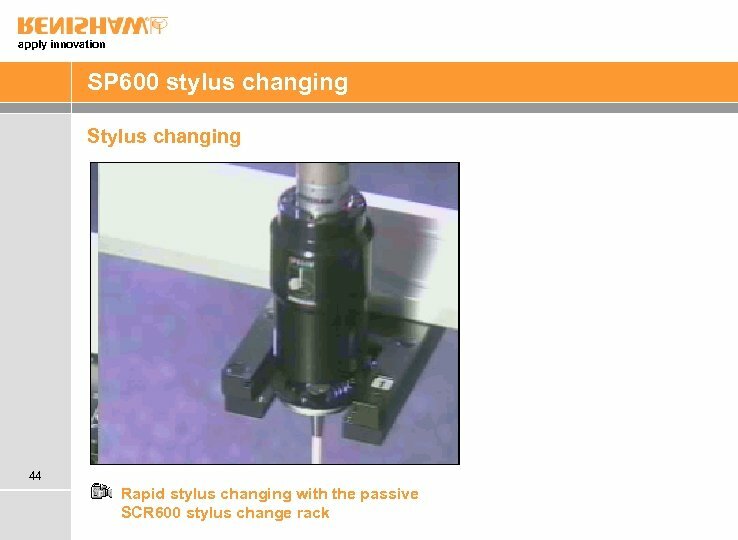 Stylus changing or sensor changing? 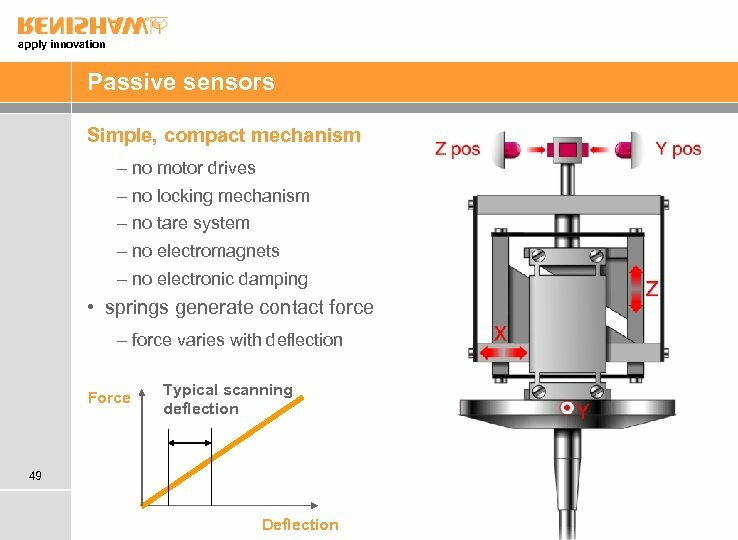 28 Active or passive scanning? 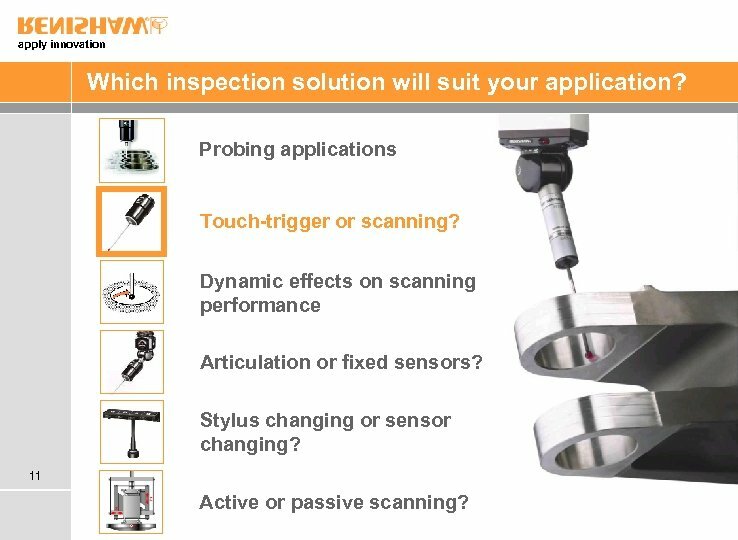 apply innovation Which inspection solution will suit your application? 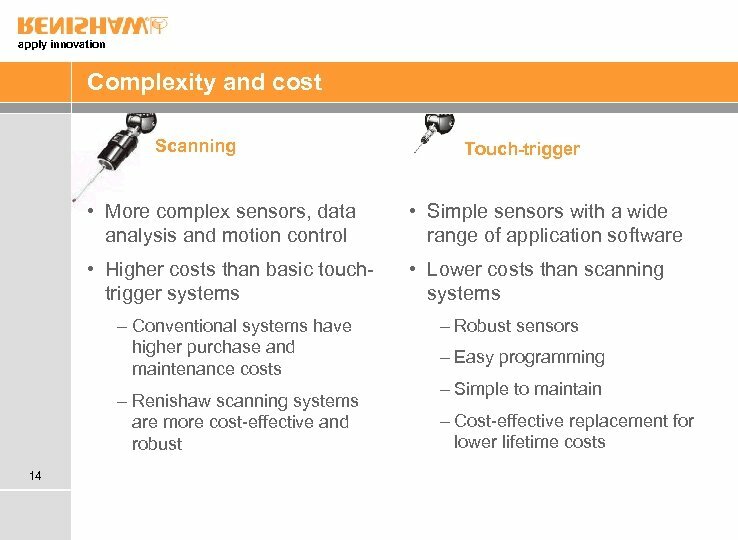 Probing applications Touch-trigger or scanning? 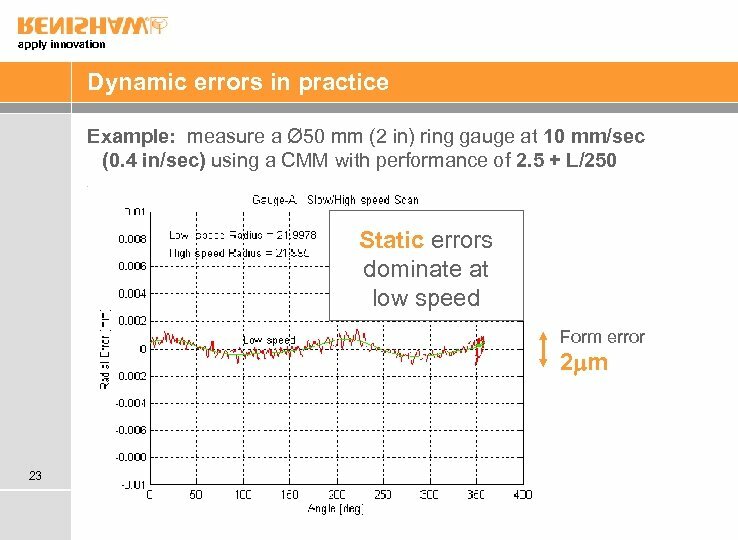 Dynamic effects on scanning performance Articulation or fixed sensors? 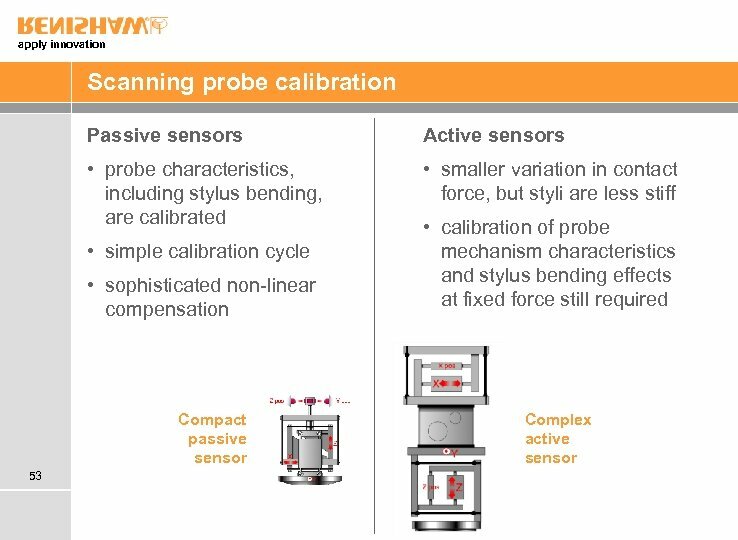 Stylus changing or sensor changing? 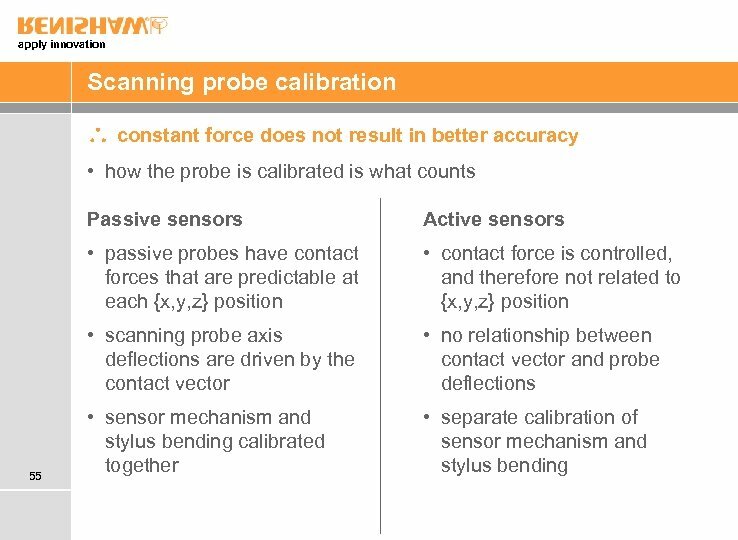 41 Active or passive scanning? apply innovation Which inspection solution will suit your application? 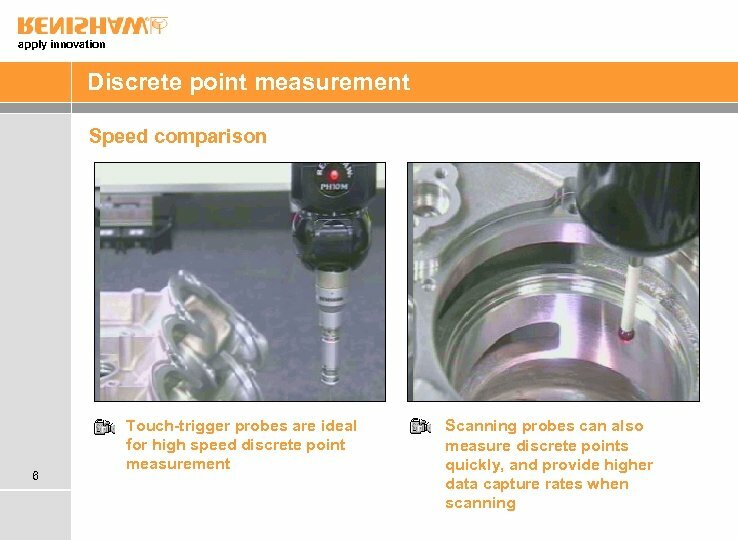 Probing applications Touch-trigger or scanning? 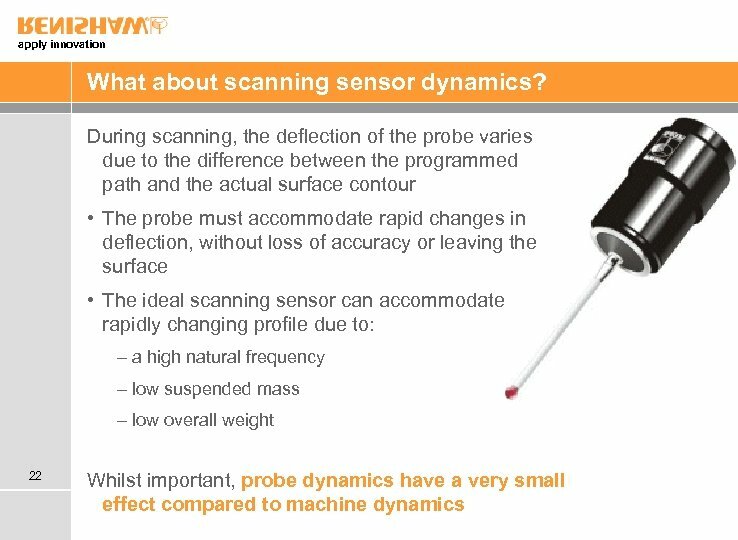 Dynamic effects on scanning performance Articulation or fixed sensors? 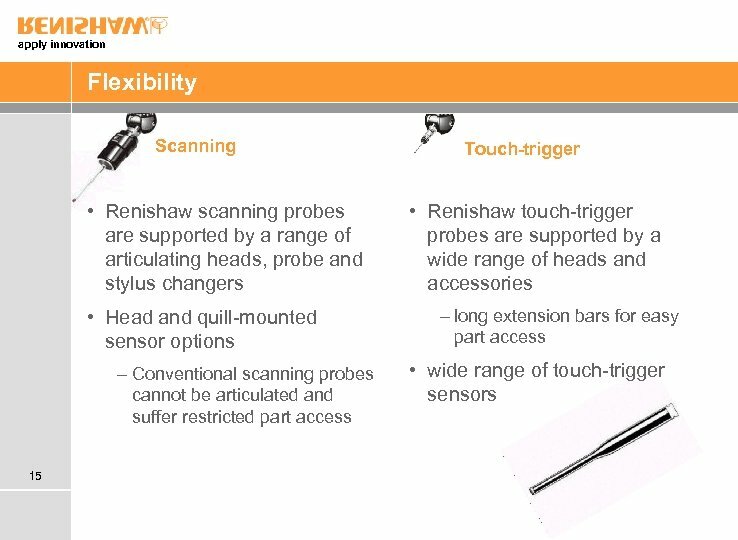 Stylus changing or sensor changing? 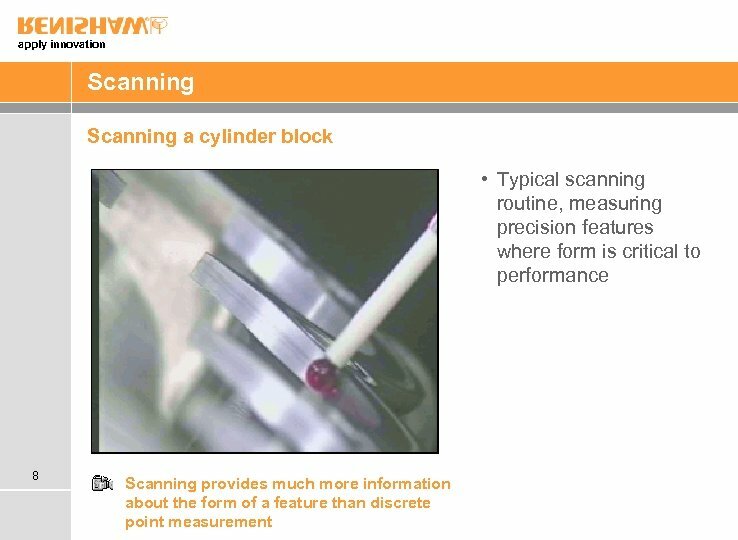 48 Active or passive scanning? 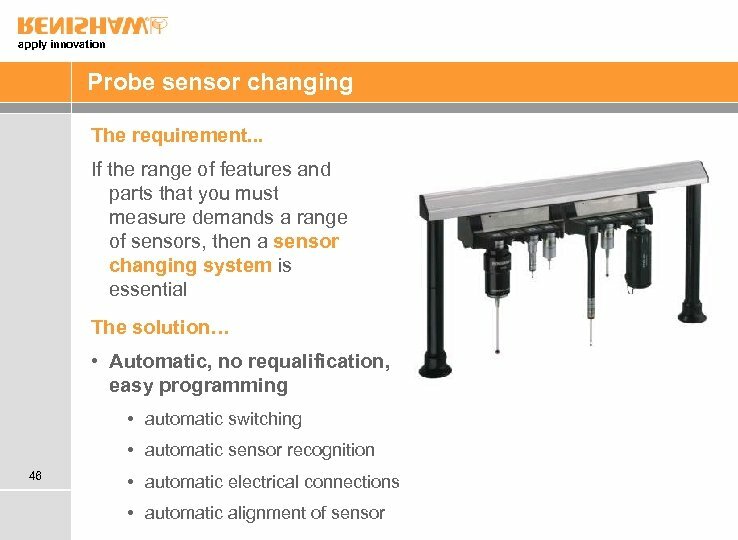 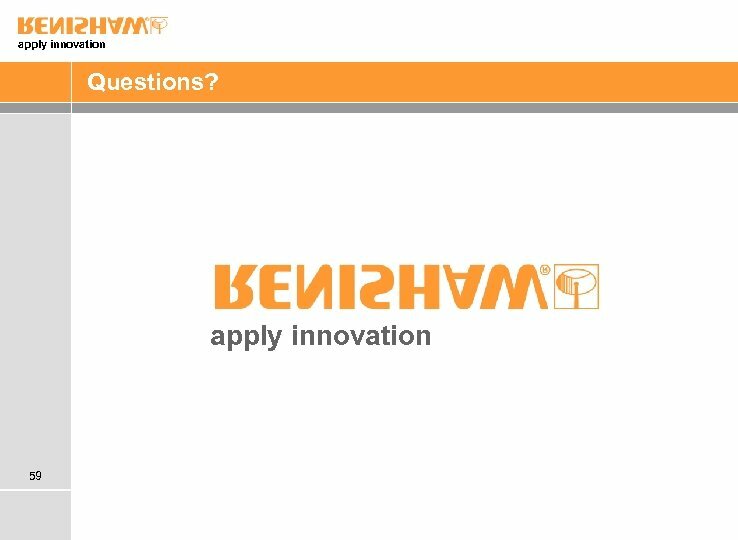 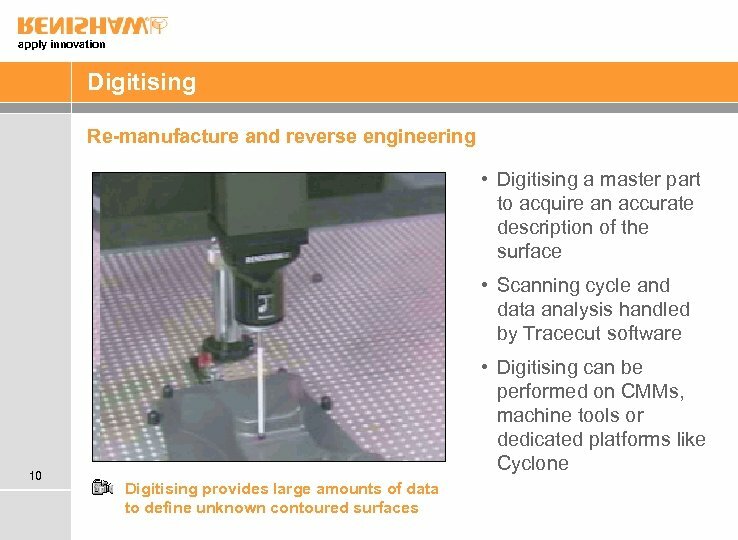 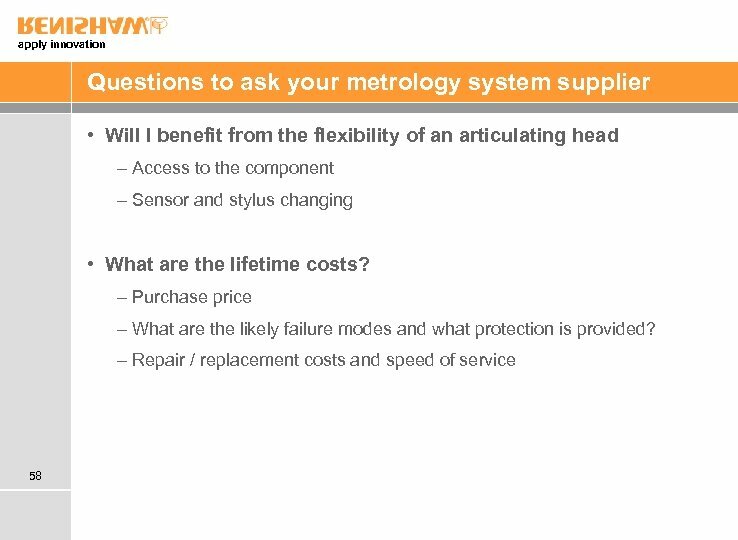 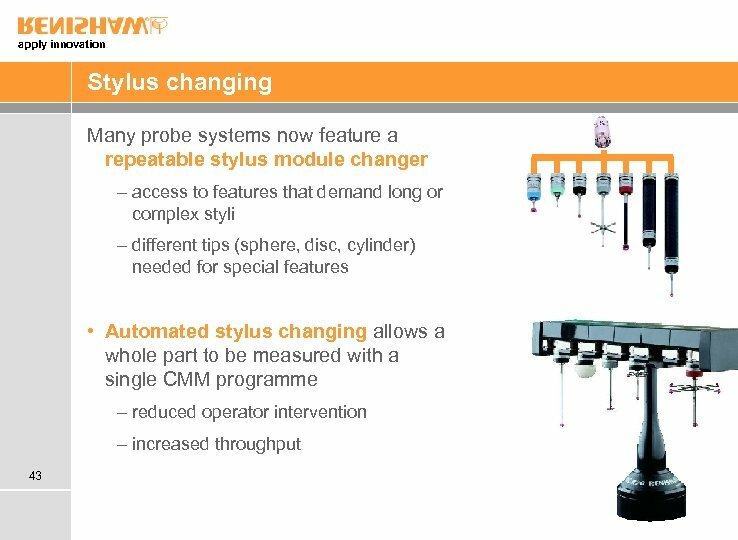 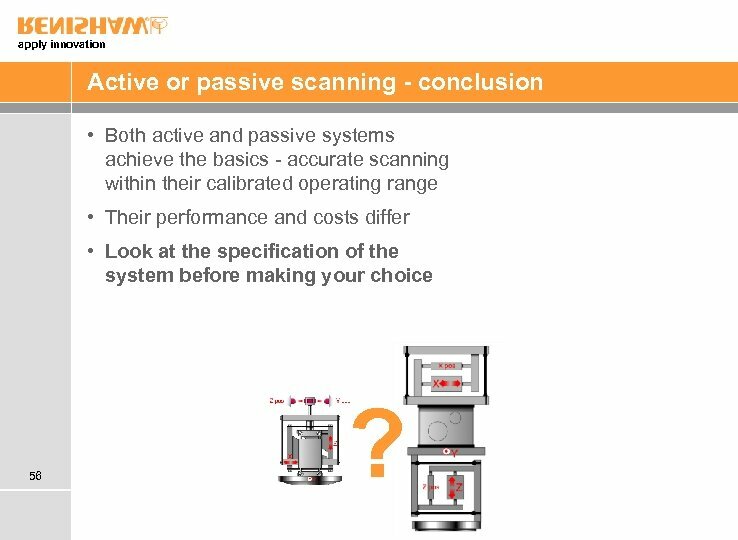 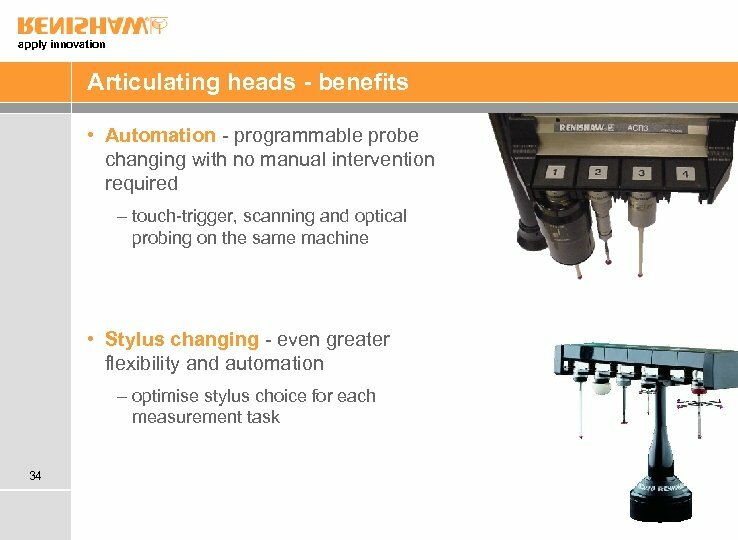 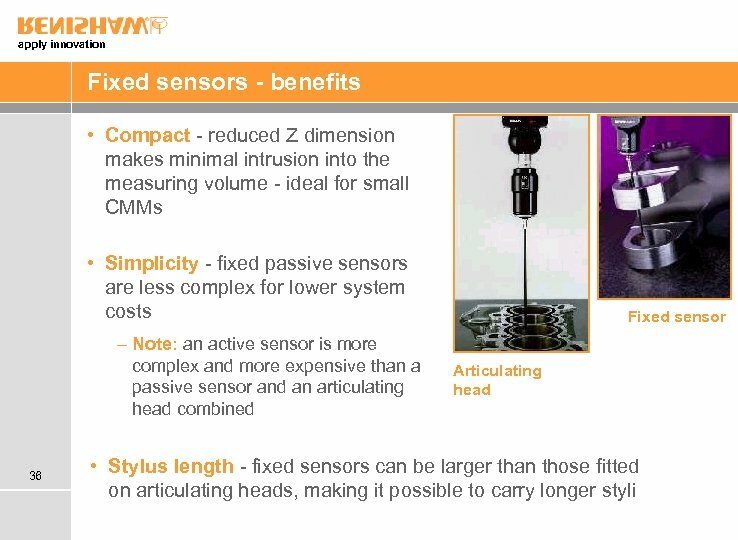 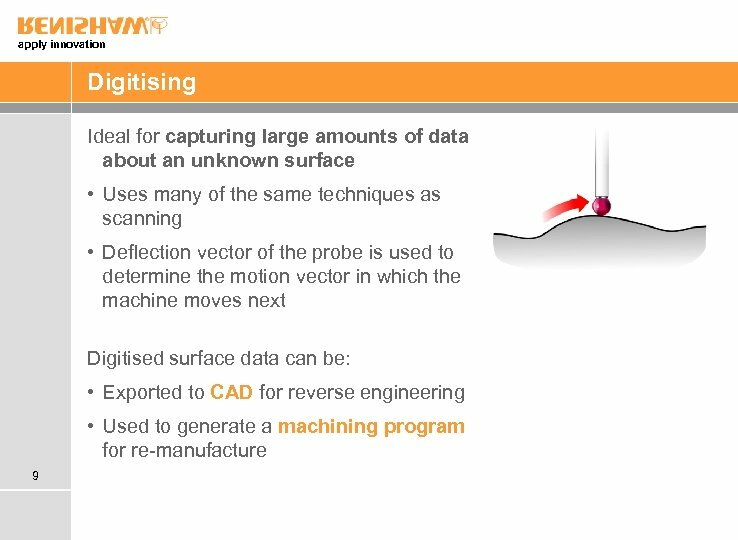 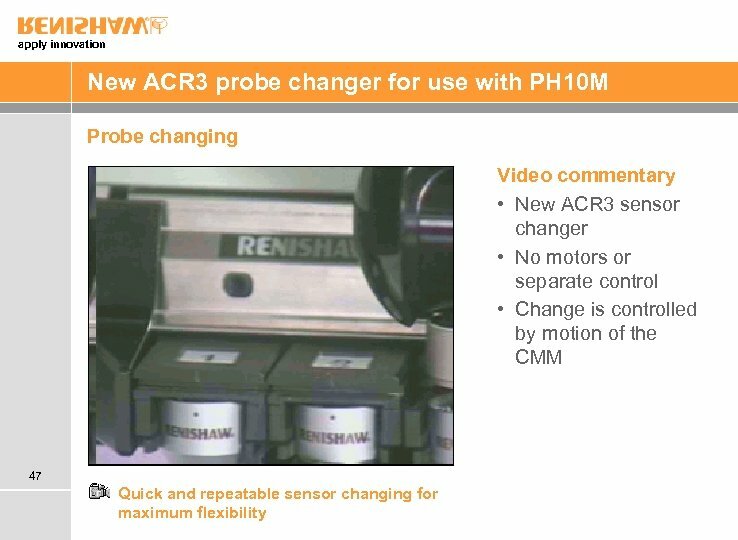 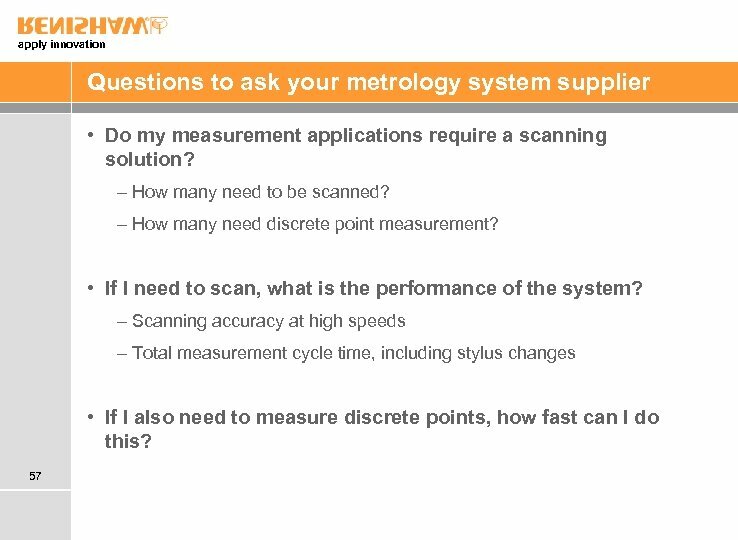 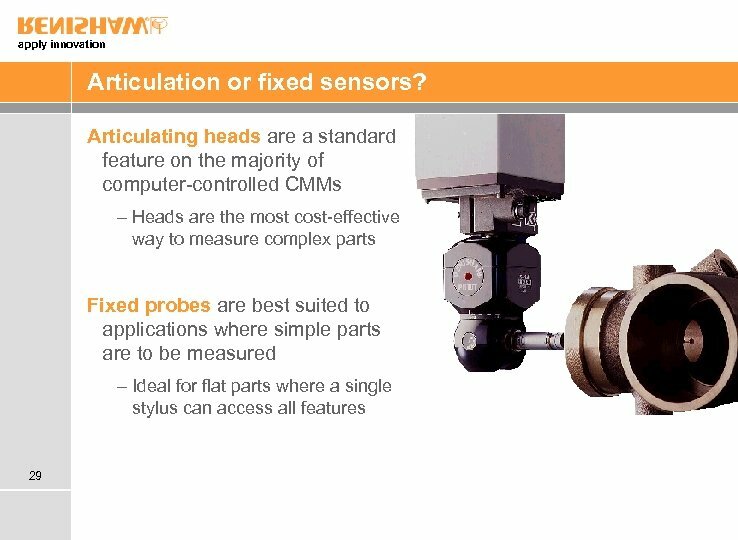 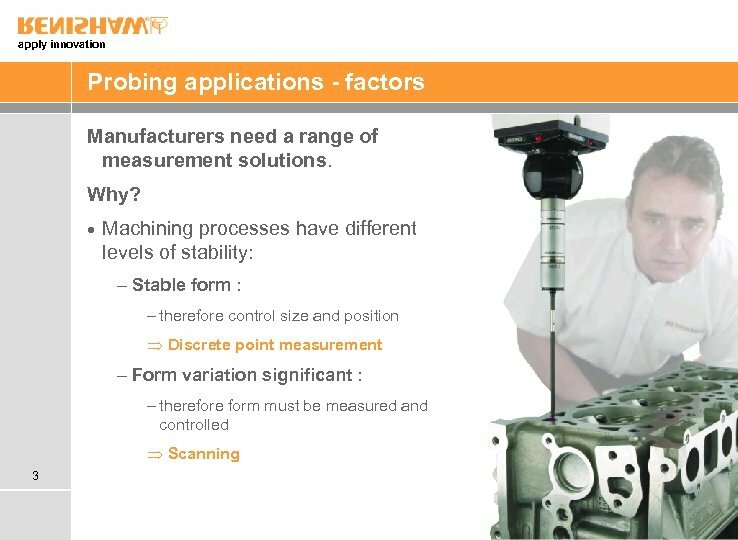 apply innovation Active or passive scanning - conclusion • Both active and passive systems achieve the basics - accurate scanning within their calibrated operating range • Their performance and costs differ • Look at the specification of the system before making your choice 56 ?